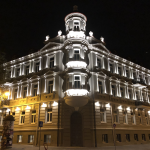 Located between the Cathedral Square and Saint Anne‘s church, hotel “Vilnia” is a 4 star new sumptuous boutique hotel which is attractive for its exclusive location. 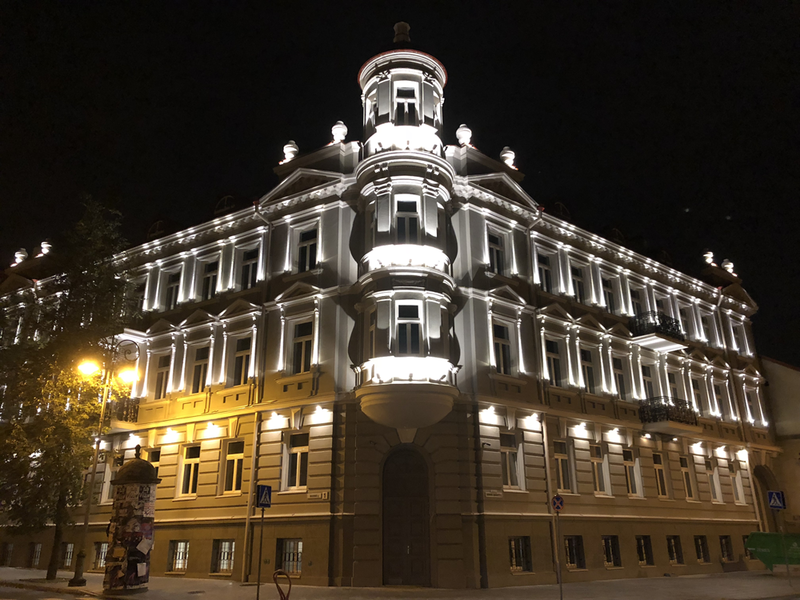 Here, the guests get the best of both worlds: staying among hustle and bustle of the UNESCO protected old town and enjoining prettiness and quietness of the fascinating views through the hotel windows and nice walks in neighborhood parks. Guests will appreciate staying in one of the 79 stylish and well-equipped rooms. 52 of them are classic rooms for double, twin or single use, 23 rooms are superior, 4 suites (3 of them have a tower view) complete the list. Some rooms have balconies. The chic 70-seats European cuisine restaurant and bar located inside the hotel is the perfect place to end a day of exploring the capital city’s wealth of attractions. The hotel can also host conferences and seminars up to 25 people in the main 60 square meters hall, and smaller meetings up to 15 people in the second hall. Both of them have advanced technical equipment and facilities, surrounded by a stylish and cozy decor. The opening is planned for the first days of October 2018.